Front Row 1. 2. Frank Wylie 3. Maureen Roberts . ...........my brother is 3rd row no 10 John Muir now living in Castlemilk Glasgow. Dec. 2007 Extract from email, Moira Mackay (nee McIntosh), East Kilbride, Scotland. ......my brother Douglas McIntosh is in this photo and gave me most of the names.... 30 names supplied! Jan.2011 Extract from email, David Currie, Glasgow, Scotland. 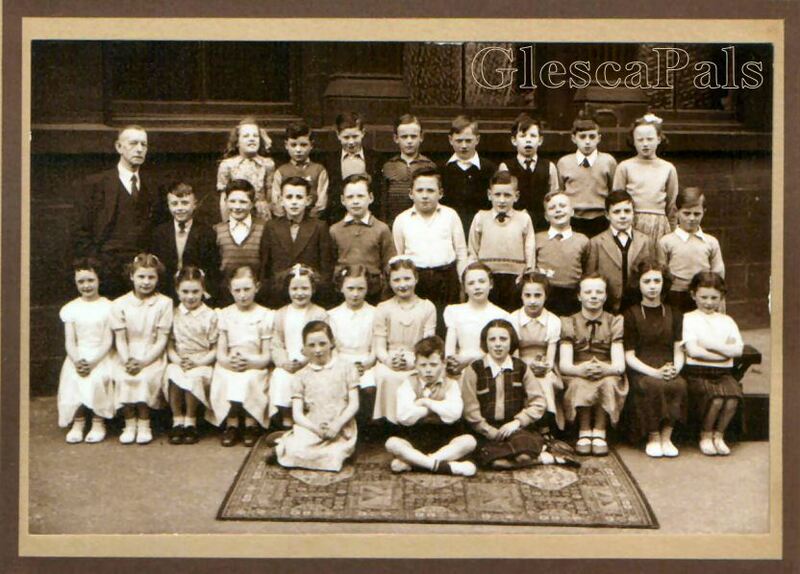 ......My mother Jeanette Currie nee Brady is in the school pic Springfield road primary 1954,pic 2...can i get a copy of this in some shape or form?